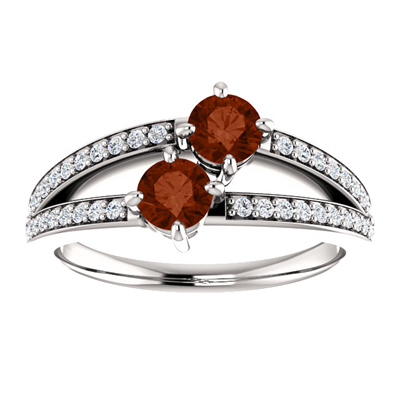 The dense red of the garnet stone is striking and symbolic of love and the intensity of that love that you hold for someone. You can show how strong your love is with this 14k white gold engagement ring with two 4.1mm garnet stones connected together with 46 diamonds surrounding it. We guarantee our 4mm Garnet Two Stone Ring with Diamond Accents in 14K White Gold to be high quality, authentic jewelry, as described above.